One of the challenges in reviewing the nutrition of methionine and cystine for pigs is the difficulty in analysis for these two amino acids. 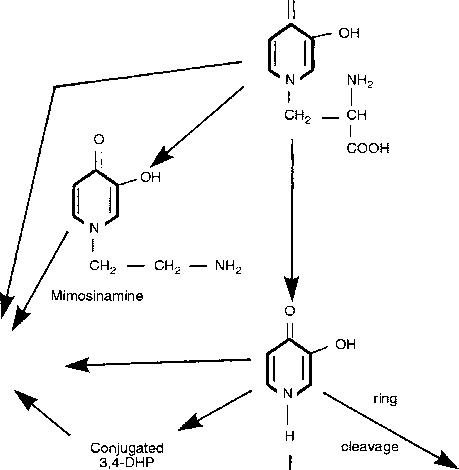 As discussed by Williams (1994), methionine and cyst(e)ine undergo oxidation during the 'standard method' of hydrolysis. Substantial amounts of methionine and cyst(e)ine are lost. To circumvent this, the sulphur amino acids must be protected before hydrolysis. The usual method is a controlled oxidation of methionine to methionine sulphone and cyst(e)ine to cys-teic acid (Schram etal, 1954). Performic acid is used to oxidize the amino acids and hydrogen bromide is added as the reducing agent to destroy the excess performic acid when the oxidation is complete (Moore, 1963). In addition, the complete removal of HC1 from the sample is critical when lithium-based, ion-exchange chromatography is used. The resolution of the early eluted peaks, which include cysteic acid, aspartic acid, methionine sulphone, and threonine, is very sensitive to the pH of the injected sample (Mondino et al., 1972). A small change in sample pH can change the shape and size of the aspartic acid peak and can also change the retention times of both the methionine sulphone and threonine peaks affecting their resolution (Pickering, 1989; Grunau and Swiader, 1992).